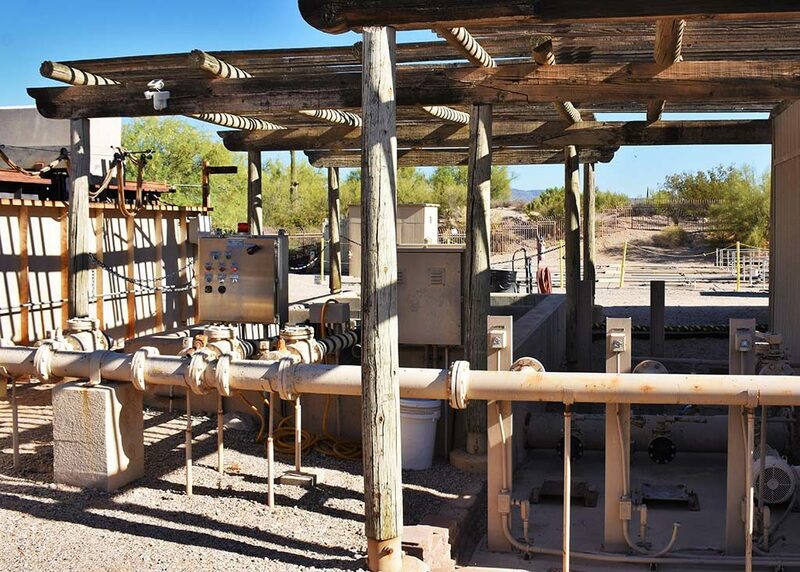 After a dozen years of legal wrangling, which even made it to the Arizona State Supreme Court, the end is nearing for the former Black Mountain Sewer Plant. Work has already started to put in a new sewer force main that will connect Carefree’s sewer pipes to Scottsdale’s system. The wastewater will be treated at the Scottsdale Water Resources processing facility on Pima Road. The Black Mountain Sewer plant currently owned and operated by Liberty Utilities was built in the 1960’s and is completely surrounded by the Boulders development. The plant was originally designed to serve about 50 homes. Now there are over 2000 homes and businesses now served by the wastewater utility, so the plant is overworked and outdated. It only handles about 20 percent of the wastewater generated. The other 80 percent is already handled by SWR. Over a dozen years ago concerns were first voiced. Many houses were constructed nearby in the days before real estate disclaimers were required. Complaints about the odor, noise, and vibration from the facility became commonplace. The Boulders Home Owners Association, at the time headed by current Carefree Mayor Les Peterson, began a battle to shut down the plant. Numerous law suits and a winding path through the Town of Carefree, The City of Scottsdale, a change in ownership of the Boulders, The Arizona Corporation Commission, and the State Supreme Court, are finally nearing the end. The change in ownership at the Boulders in 2015 has played a key role in bringing this struggle to an end. There was a contract for the sewer plant to provide effluent for watering the Boulders’ golf courses. It was only 10 percent of the water used on the links, but Liberty Utilities would have to find another source to meet contract obligations. Columbia Sussex Corporation purchased the Boulders in 2015. Part of their plans included upgrades to the golf courses’ irrigation system that would allow less water to be used on the course. By November 30 of this year that work will be completed and there will no longer be a need for the effluent and the plant will be shut down. Once shut down the plant will be removed completely. That process will be finished by June 30 of next year. Work is underway to put in place other infrastructure needed to make the shutdown possible. The most visible is the construction work blocking the northbound lanes of part of Tom Darlington Road. A new sewer pipe is being put in that will run the entire length of Tom Darlington, from Cave Creek Road to Carefree highway. It will continue on down Scottsdale Road to just south of Westland where it will connect into the Scottsdale sewer system. A current pump near Spanish Village will be replaced as part of the work as well. Liberty Utilities will still be providing service for the wastewater system in Carefree. They will still be responsible for maintaining the system and installation of new sewer lines that may be needed. 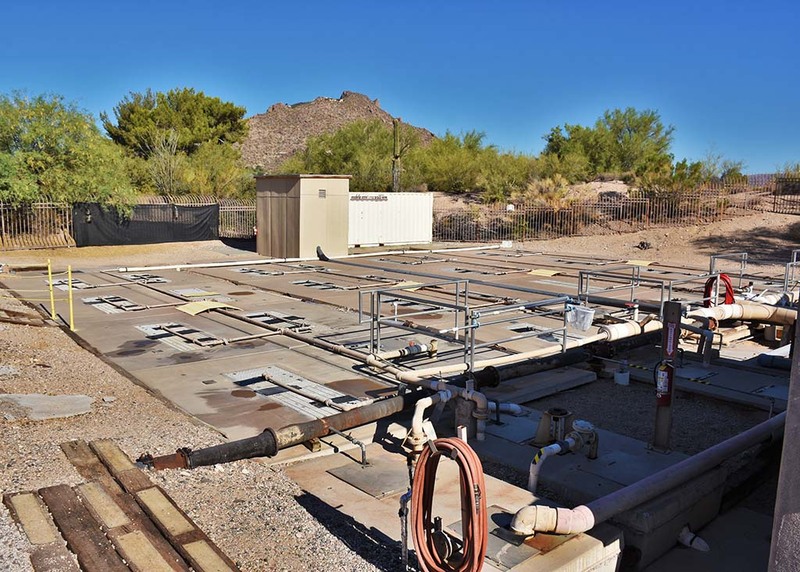 Only the will no longer be treating any of the Carefree sewage, that will be done by the city of Scottsdale.